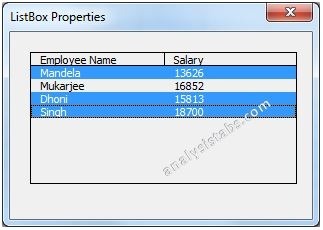 VBA MultiSelect Property of ListBox ActiveX Control in Excel to sets an integer value (0 or 1 or 2). It specifies how text is selcted in a listbox control. When user sets MultiSelect property to ‘0’ then user can only select one item at a time. If MultiSelect property sets to ‘1’ then user can press the spacebar to select and deselect list box items. Finally, If MultiSelect property sets to ‘2’ then user can use ‘Shift’ or ‘Ctrl’ keys to select multiple items in a list box. 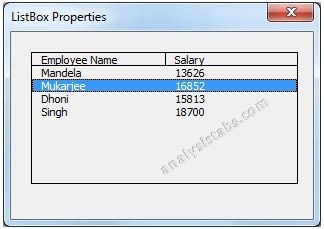 Please find the below syntax of ListBox Multi Select Property in Excel VBA. Where ListboxName represents the ListBox object. 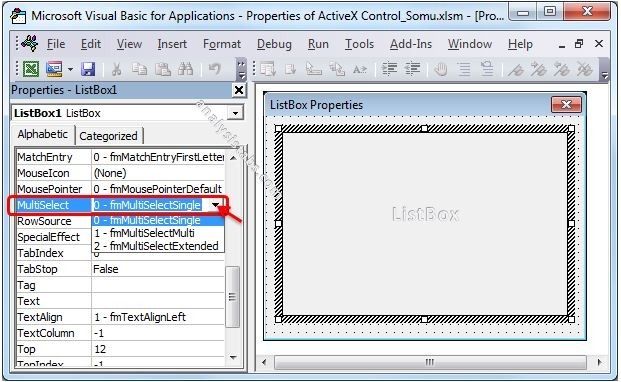 In the above syntax we are using a ‘MultiSelect’ property of ListBox object to select listbox items based on user choice. 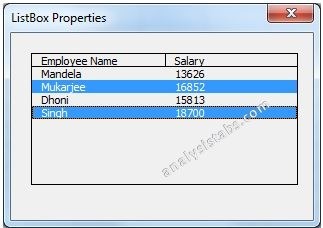 Here is the example for ListBox Multi Select Property. 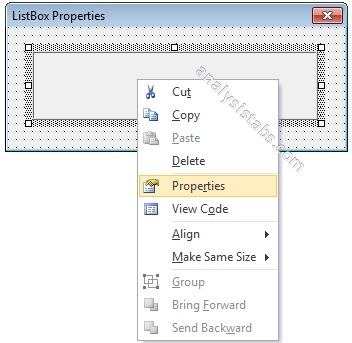 It will take you through how to align M Select property of list box using Excel VBA. 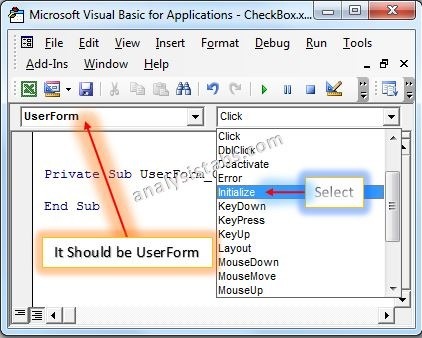 Here you can find or see how we are enable or disable Multi Select of list box manually or using code. 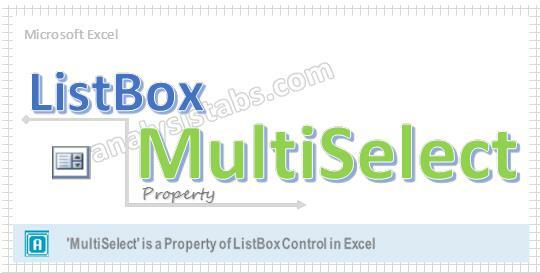 Please find the following details how we are changing manually Multi Select of listbox property. On the left side find ‘MultiSelect’ property from the available List Box properties. On the right side you can find the list of available choices. You can choose one of the following. . Please find the below screen shot for your reference. Please find the following details how we are changing Multi Select of listbox property with using Excel VBA code. Now, add the following example code1 or code2 or code 3 to the in between above event procedure. Please find the below output when we set Multi Select property value is ‘0’. It is shown in the following Screen Shot. Please find the below output when we set Multi Select property value is ‘1’. It is shown in the following Screen Shot. Please find the below output when we set Multi Select property value is ‘2’. It is shown in the following Screen Shot.